Ready to paint and personalize! Real terra cotta pots to paint and personalize! 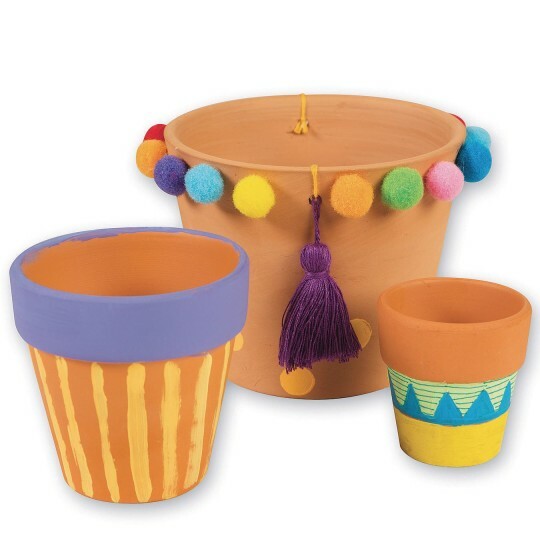 Decorate with paint, markers, trims and more and then you can plant flowers and herbs! Great for a variety of nature and general crafts and perfect for macramé crafting! Each measures 3-3/4”H x 4-1/2”W across top opening, 3-1/8” diameter across bottom. 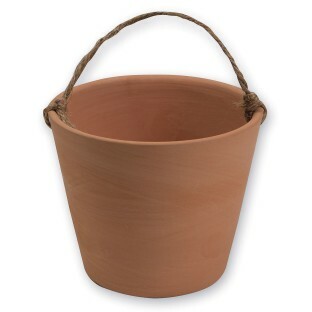 Jute included on each pot for hanging. Hole in bottom for drainage.